This is a two-page translating worksheet. 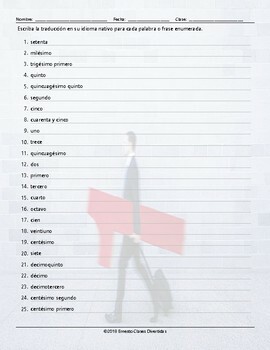 Each worksheet has a total of thirty-five words or phrases to translate and sentence clues to help out. Students will be given a list of words or phrases. They need to translated them into their native language by using the sentence clues.